Ben Ringsdorf was born on September 16, 1939, in Dothan, Alabama. After completing his bachelor's degree, he entered Officer Training School with the U.S. Air Force on November 9, 1962, and was commissioned a 2d Lt at Lackland AFB, Texas, on February 5, 1963. Lt Ringsdorf next completed Undergraduate Pilot Training and was awarded his pilot wings at Vance AFB, Oklahoma, in March 1964, followed by Pilot Systems Operator Training and F-4 Phantom II Combat Crew Training from May 1964 to February 1965. His first assignment was as an F-4 pilot with the 47th Tactical Fighter Squadron at MacDill AFB, Florida, from March 1965 until he was forced to eject over North Vietnam and was taken as a Prisoner of War while flying on temporary duty with the 559th Tactical Fighter Squadron at Cam Ranh Bay AB, South Vietnam, on November 11, 1966. 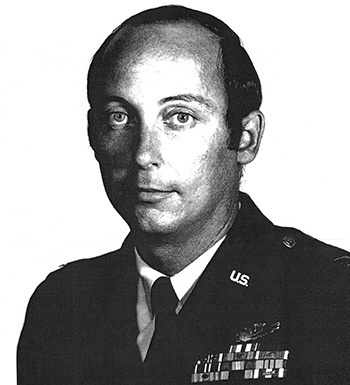 During his time with the 47th TFS, Lt Ringsdorf also flew combat in Southeast Asia from July to November 1965. After spending 2,286 days in captivity, Capt Ringsdorf was released during Operation Homecoming on February 12, 1973. He was briefly hospitalized to recover from his injuries at Maxwell AFB, Alabama, and then attended pilot recurrency training at Randolph AFB, Texas, before leaving active duty on October 9, 1973. After leaving the Air Force, Ben completed Medical School and worked as a Family Physician until his death on February 15, 1998. He was buried at Arlington National Cemetery. For gallantry in connection with military operations against an opposing armed force as an F-4C Pilot of the 559th Tactical Fighter Squadron, 12th Tactical Fighter Wing, Cam Ranh Bay, Vietnam, in action in Southeast Asia, on 11 November 1966. On that date, Lieutenant Ringsdorf piloted an F-4C aircraft against a target in North Vietnam. Despite known defensive weapons fire reported by other aircraft in the attacking flight, Lieutenant Ringsdorf selflessly continued his attack. With complete disregard for his own personal safety, Lieutenant Ringsdorf made low repeated passes over suspected anti-aircraft gun positions to draw their fire and expose themselves to attacks from fighter aircraft. 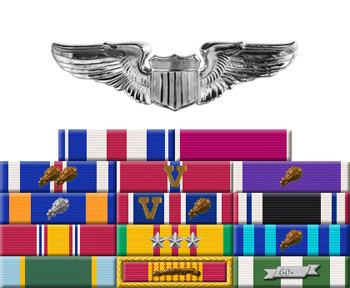 By his gallantry and devotion to duty, Lieutenant Ringsdorf has reflected great credit upon himself and the United States Air Force.